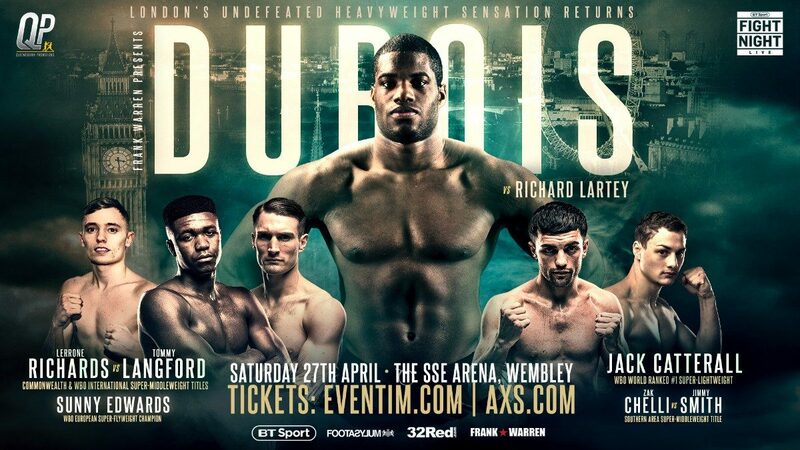 Contrary to mounting social media skepticism, Dubois’ promoter Frank Warren has publicly stated that the 21-year-old will not be withdrawn from the proposed fight and Dubois intends to add the Lonsdale belt to the WBC world Youth, Southern Area, English and WBO European titles he has already fought for and won. “I am happy the fight with Joyce has been put forward and it is one that excites me,” said Dubois, who has nine stoppages to his name. “But that is for later because I have got a proper big fight lined up for April 27 and all of my energy and attention has to be channeled towards that.